Are you ready to up your curl care routine? Many girls are embracing the Curly Girl Method, as it helps them see fantastic results in their curl's health. Here's the how to guide to the curly girl method. Give it a try and let us know if you like it! 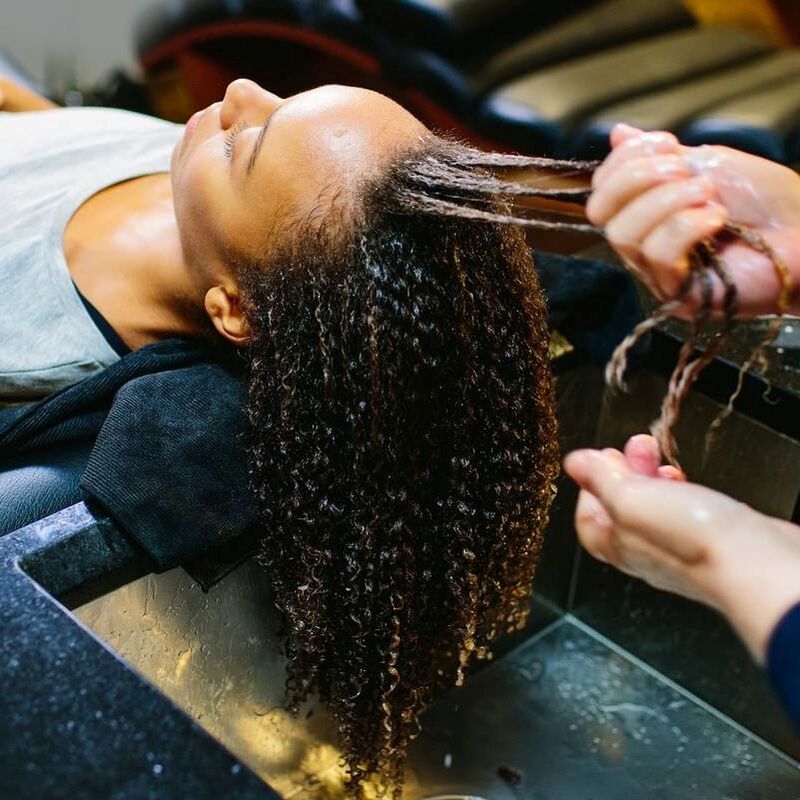 Before starting the curly girl method, it's important to clarify curls. This will remove any build up, excess product, dirt, or overabundance of oil and allow your curls to get a fresh start, so to speak. After that, go through your curly care products and cull any that have sulfates, parabens, dyes, fragrances, or chemicals that could be harmful to your curls. The Curly Girl Method embraces natural, moisturizing curl care products as opposed to those that can be damaging to delicate strands. Wet your curls with warm, but not hot water. Instead of shampoo, you'll be using a conditioner or a cowash treatment. Use your fingertips to work conditioner through your strands, focusing on the scalp. This will help encourage blood flow to the scalp and break up any build up on the strands. 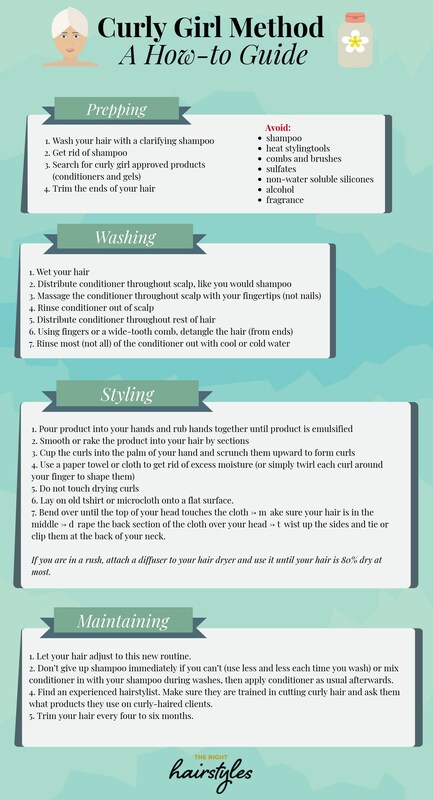 Rinse the conditioner away using cool water. Follow this by working the conditioner through the rest of your strands, focusing on gently detangling. Utilize a wide toothed comb or your fingertips to remove knots and tangles one by one. This is also a good time to part your curls to prepare for styling. This step will adjust based upon your curl type. For curlies with heavier coils should apply product directly after showering while curls are saturated. If you have finer, wavy hair, excess water will need to be removed prior to applying product. Use a leave in conditioner to add in moisture, then add in a gel, or curl defining cream. After products are applied, take the time to reshape curls individually by cupping in your hand and scrunching upwards. You could also try twisting individual curls around your finger to retain their shape. Avoid touching curls until they're completely dry to minimize frizz or disruption to the pattern. This isn't a technique that's going to yield overnight results, especially if curls have been being worn straight for a long time. It can also be hard to give up shampoo completely, so feel free to par it back by diluting it with conditioner as you work your way back to using cowash completely. During this time, find and make an appointment with a stylist who is well trained in curly hair. Work with them to develop a curl care routine that works for your time and budget, as well as get scheduled for regular trims or cuts. Getting a trim every 4-6 weeks can greatly help during the transition process.